The best part of Urban Sketching is finding a spot to settle down and it always involve tea and cake. This month, we got together at the Barbican which is an interesting place. My first sketch was of an old church which forced me to really work on my perspective and details. For my second sketch of the day, I decided to loosen up with just ink. If I had to choose the sketch I enjoyed the most it would be of the old church but looking back I prefer the looseness of my second sketch although at the time I didn’t have a clue what I was actually doing with my pen! That cafe in the Barbican is one of my favourite places. I absolutely love it. And I miss London! It’s also a great spot to do some writing if you’re into that kind of thing. Really nice to be surrounded by other creative types too. 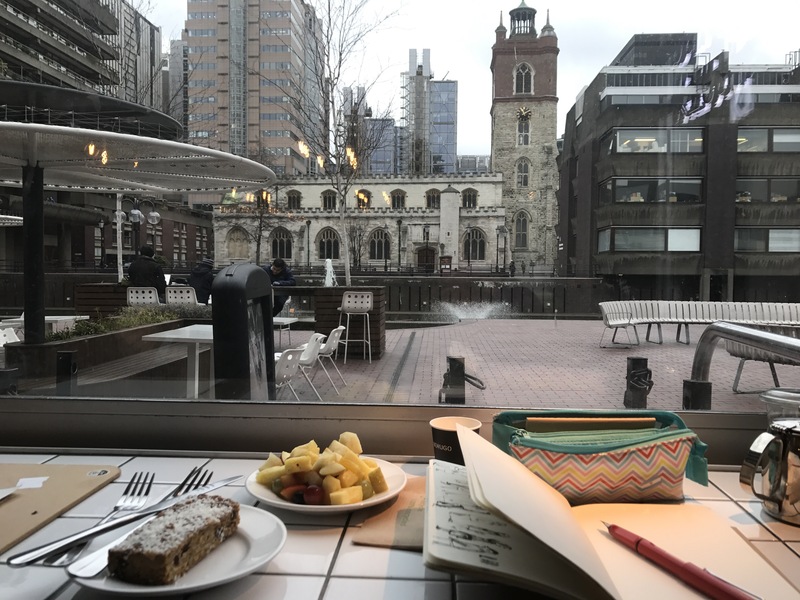 Barbican is a sketching and writing heaven!! It really is. I miss it.